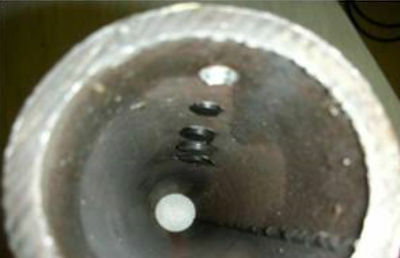 Tighten into a drilled hole in steel pipe to create a seal without shut down. Can be made with low profile in the pipe. No tapping required. Plugs cut their own threads. 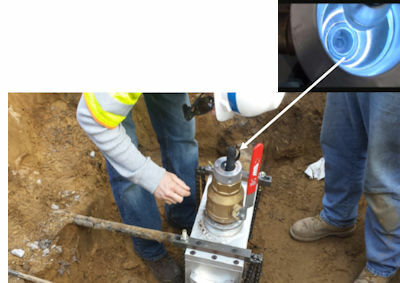 Gas-Free service renewals or abandonments used with the Safe-T-Stopper equipment. Hex head for easy tightening. Available in many sizes and lengths. Viewing the main hole with the Safe T Stopper prior to inserting the correct size Self Tapping Plug.